Whether you live in a rental, a fixer-upper or your dream space, chances are there's a room or two in your home that can use a decorative upgrade. While areas such as the bedroom or living room are relatively easy to change up — a fresh coat of paint or swapping in new textiles can go a long way — there are a few other rooms that require just a bit more effort. In that vein, we find ourselves privy to neglect, allowing years to idle by without so much as making even the most basic improvements. 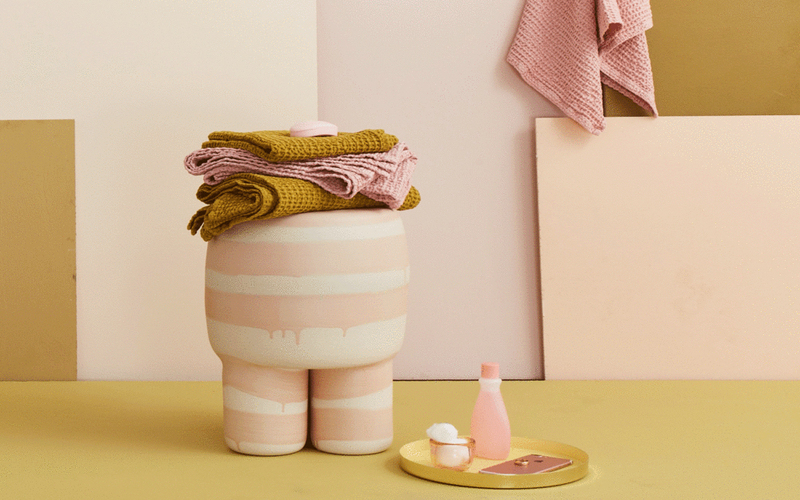 Today, we're looking to the bathroom, which more often than not falls short of any sort of decorative change — unless we're talking about swapping out items such as shower curtains or bath mats, which don't really count. For that reason alone, we compiled a list of easy ways you can upgrade a bathroom without spending a fortune. Here's how. Outdated vanity? A fresh coat of paint can do wonders. If you have Ikea cabinets, you're in luck: Brands such as Superfront and Prettypegs offer style-focused facades custom-made to fit any cabinet from Ikea's expansive selection. Short of that, you can simply replace the existing knobs on the cabinet doors to give the piece an instant facelift. Feel free to get creative by mixing and matching metals or finishes. Another easy way to elevate the walls? Utilize art to instill a cozy vibe fueled by decorative thought and intention. 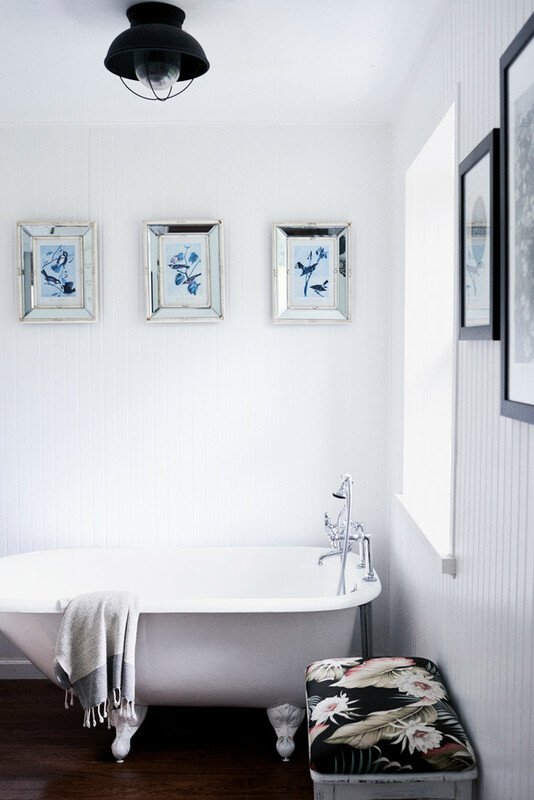 We're taking a page out of Keren Craig's upstate New York digs, which boasts a whitewashed bath accented with a subdued spectrum of moody tones. Even if you have room for one piece of wall art, it can make quite a statement against bland, bare walls. And if your space and rental-constraints permit, bring in an intricate wallpaper to establish a fresh aesthetic. Consider it a simple way to introduce a major dose of color and pattern to an otherwise monotone space. Statement tiles are at the top of this year's leading trends, and for good reason. 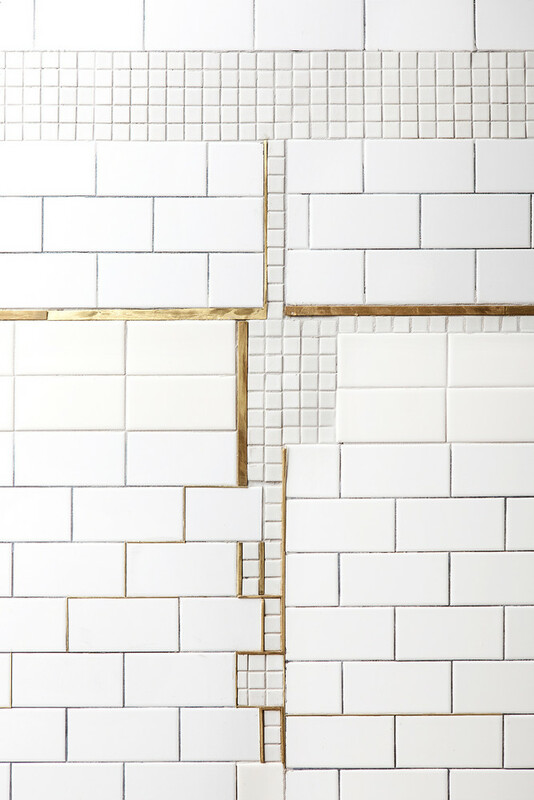 While a complete gut reno can typically be on the expensive side of a budget, implementing a wall accent with a chic tile display is one way to get around it. 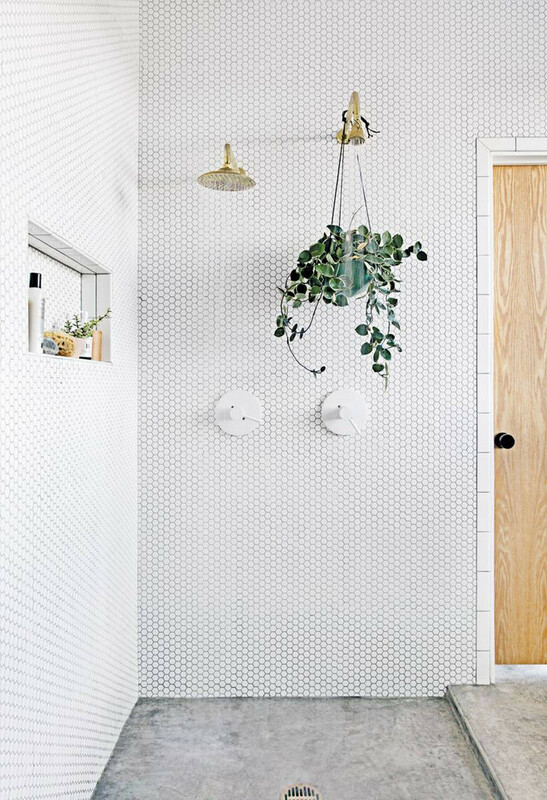 Not only will you save on not having to buy tile for the entirety of the bathroom, but you can splurge on a more expensive tile you would otherwise consider to be out of budget.Get crafty with an eclectic assortment of tiles, and don't be afraid to filter in mixed materials. Case in point? This beautifully curated vignette from NYC-based eatery De Maria, where sleek brass details offset a basic assortment of subway and square tiles. 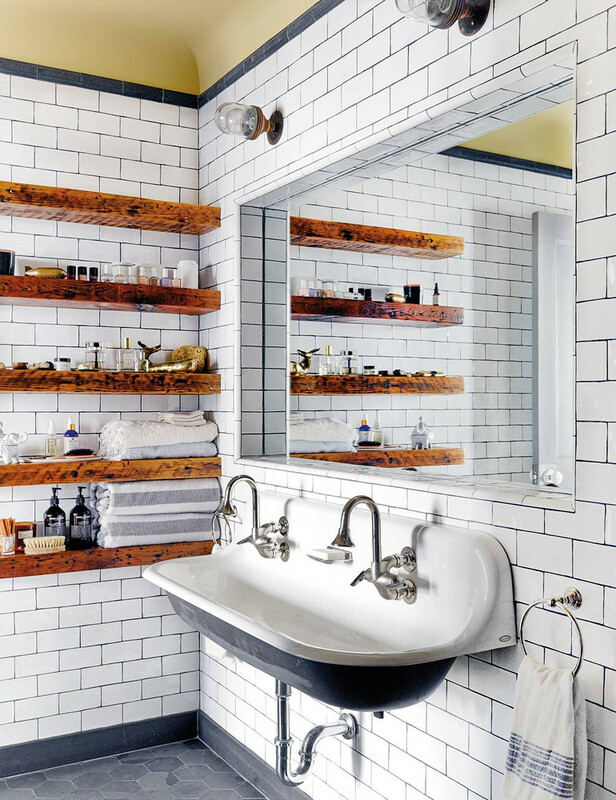 Swap out existing fixtures and hardware to invite a refreshing element. Opt for a matte black faucet to impart the vanity with a mod upgrade or even a lustrous brass showerhead for a luxe finish. Take things a step further by bringing in an array of potted greens to implement an element of liveliness — a bonus and a must for the bathroom that lacks windows or natural light. If you have yet to hear, bath caddies are the one item no bathtub should be without. 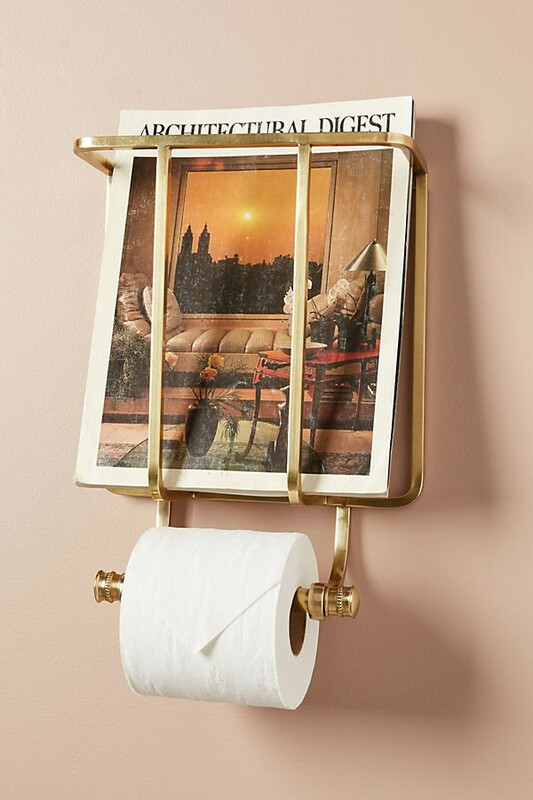 Even the most tired and outdated spaces can be instantly elevated with the addition of this budget-friendly piece. 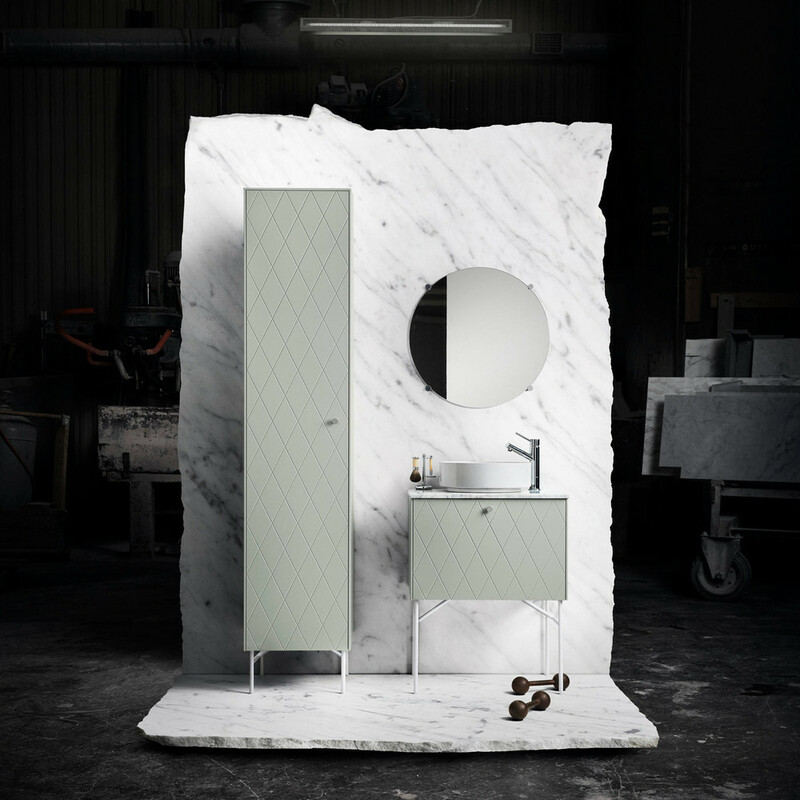 Be it for function or purely for form, a caddy not only provides added storage space but, it invites an opportunity for the addition of decorative accessories. 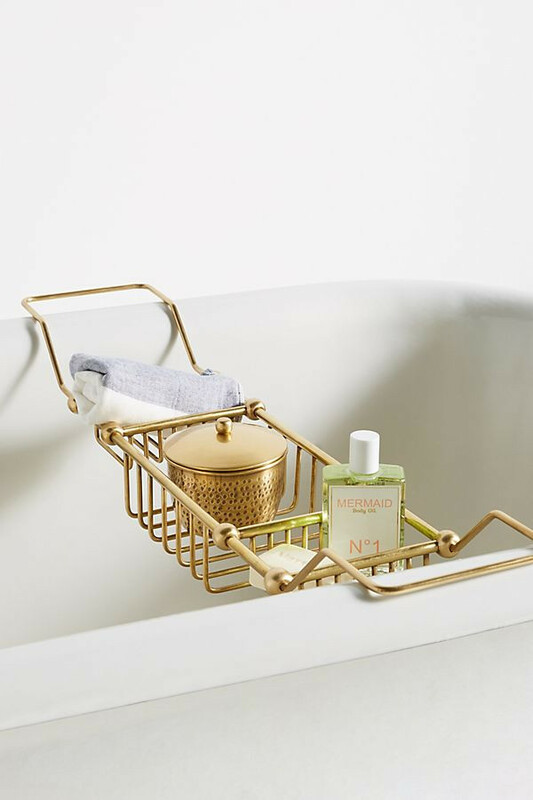 Give your tub a luxe upgrade by pairing it with a chic caddy tray and top it with a potted green, candles and your go-to bathtime essentials for the ultimate finish. For those looking to make a handful of low-committal changes that require little effort or money, swapping out the smaller accessories can go a long way. Bring in a new wastebasket, replace existing canisters and jars or splurge on luxe soaps and bath goodies. 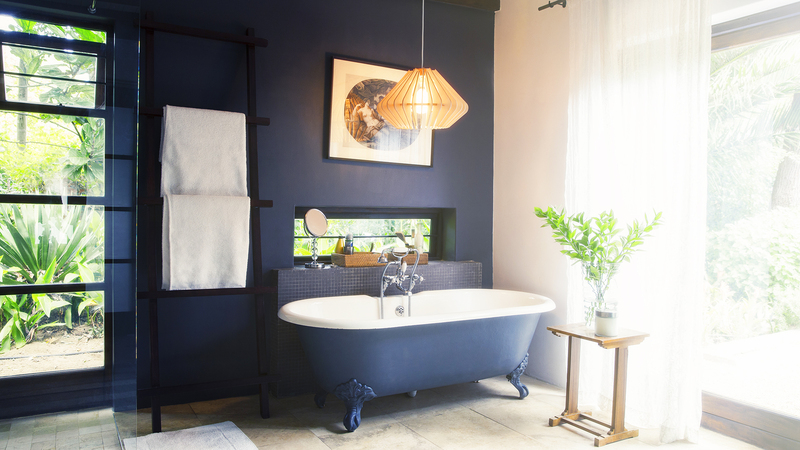 Filling your space with items that excite you will help transform your bathroom into a mini oasis you can look to for the ultimate R&R session.